A rendering for the proposed hotel at the southeast corner of Ocean and Pine in Downtown. Courtesy of City of Long Beach. The height wars within Downtown Long Beach have officially begun. 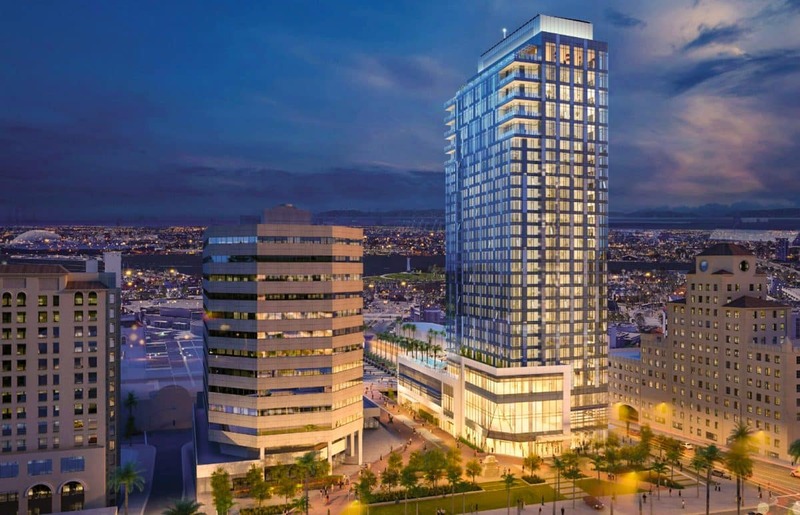 Shortly after the Shoreline Gateway broke ground earlier this month—what will be the city’s tallest building at 417 feet when complete—the city released its environmental report on a 30-story hotel being proposed for the site at 100 E. Ocean Blvd. According to the report, the massive project will include 537,075-square-feet of hotel space spanning 429 rooms—171 king rooms, 152 double-queen rooms, 76 suites, and 30 penthouse suites—along with 23,512-square-feet of restaurant space and 26,847-square-feet of conference, ballroom, and pre-function spaces. At its apex, which are the penthouses at the top, the building is expected to reach a height of 402 feet, just above the World Trade Center but below Shoreline Gateway, making it the second building to achieve a height above 400 feet. On top of this, improvements to the odd park space where The Loop and Victory Park currently sit are planned, as well as ambitious plans to include public access to the historic Jergins Tunnel that lies beneath Ocean Boulevard. The southeast corner of Ocean and Pine where the Jergins Trust building once sat was a bustling epicenter of activity, if not the epicenter of activity in Long Beach: the intersection was seeing some 4,000 cross the intersection per hour on the weekend—a number we could only hope for in a single day in 2018—and it prompted then-Councilman Alexander Beck to create the famed Jergins Tunnel to move people more safely and efficiently. Hotel investors are seeking to grasp that sense of human activity once more and, if their plans follow through, Ocean and Pine won’t ever look the same again. While investors Pacific6 recently announced their plans to return the dilapidated and abandoned historic Ocean Center building into residences across the street, China-owned, Seattle-based American Life, Inc. have released updated renderings for its 36-story hotel at the southeast corner (and could surpass the Shoreline Gateway as the tallest building in the city should both be built). Originally a 25-story mixed-use hotel development when first proposed to the city, the massive structure faces many contingencies. 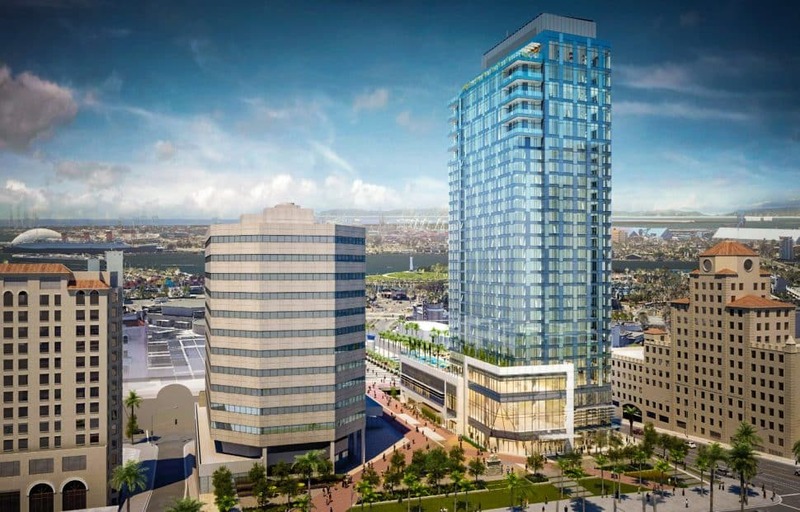 While smaller projects—like Parc Broadway, OceanAire, and the Seaside Way projects—have finally broken ground and are slowly taking shape, much more massive projects like the Broadway Block development remain the same as they did when they were sold nearly two years ago. The Jergins Trust building sold for $7 million. American Life ousted Long Beach-based developer Ensemble (the latter of which has taken on two residential developments that lack density and height: a five-story building at 247 Seaside and another five-story stub at 442 Ocean). There’s an interesting caveat to the whole deal: It hinges on a transient occupancy tax agreement where the city shares part of that tax with the developer. The amount? 50 percent. That’s right: American Life will keep 50 percent of the room tax revenue, or what is estimated to provide the development with some $27 million over a 20-year period. The reason? To fill an “economic gap” of about $47 million between the estimated cost of construction and the value of the future development. 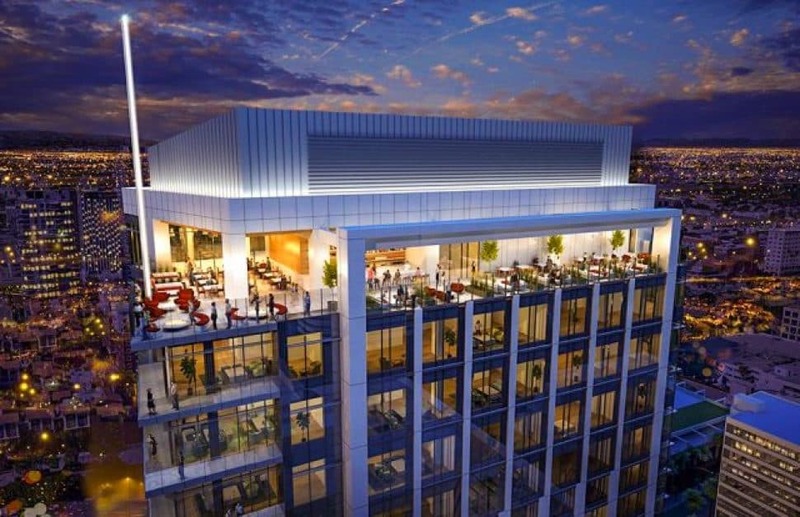 Should the city disagree with the hotel brand chosen to represent the space, the contract can be terminated (and let’s hope we don’t get an empty lot for another 30 years).